The proposed $3.8 billion liquid natural gas (LNG) export facility would do serious damage to the local environment and could put the United States on the path to massively increasing our greenhouse gas emissions. 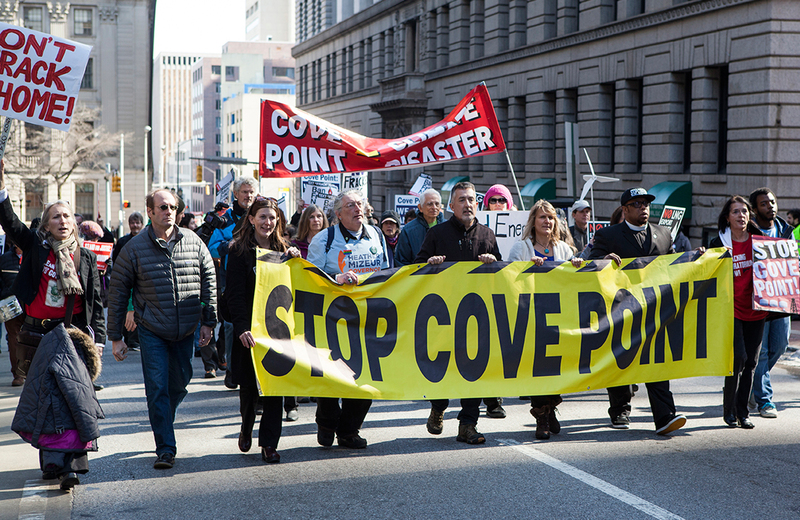 You’ve heard of Keystone XL but have you heard of Cove Point? While it hasn’t garnered the same amount of attention as the infamous pipeline, the proposed $3.8 billion liquid natural gas (LNG) export facility would do serious damage to the local environment and could put the United States on the path to massively increasing our greenhouse gas emissions. The proposed Cove Point export facility in southern Maryland just fifty miles from the White House would turn natural gas into a liquid to be sent overseas. Much of that natural gas would be obtained through fracking, giving companies a huge incentive to expand the dangerous practice. Furthermore, while natural gas has been sold as a clean alternative to coal, the facility at Cove Point would trigger more planet-heating pollution than all seven of Maryland’s coal plants combined. Finally, while its proponents no doubt want to paint Cove Point as a potential boon for the economy, only the gas industry stands to profit; a recent study commissioned by the Department of Energy found that exporting US gas would raise the price here at home by as much as 27 percent. According to the International Energy Agency and the Intergovernmental Panel on Climate Change, if we’re to limit global warming to just 3.6 degrees Fahrenheit above preindustrial levels (a level that avoids climate catastrophe, according to scientists), about two-thirds of the earth’s remaining fossil fuels need to stay underground. In the struggle to mitigate the effects of climate change, Cove Point would take us backwards. We need to move forward. Activists at the Chesapeake Climate Action Network (CCAN) are working tirelessly to make sure that the Cove Point facility never comes to pass and that Maryland instead embraces clean energy alternatives. Join The Nation and CCAN in calling on President Obama to reverse course on his support of LNG exports. In a video, the Chesapeake Climate Action Network breaks down the dangers posed to the climate if Cove Point is built and highlights the hard work of activists fighting to make sure that never happens.